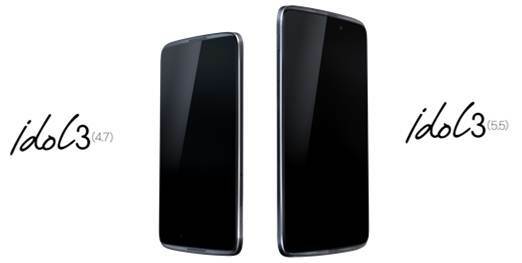 Alcatel have announced a new Idol model this year in Barcelona for Mobile World Congress. This new ultra-slim smartphone comes in two sizes, 4.7″ and 5.5″ Android slabs. Touting dual hi-fi speakers and a 13 megapixel rear camera developed to do battle with low level light settings. The 4.7″ screen sits atop a quad-core CPU whilst the 5.5″ harbours an octa-core Qualcomm Snapdragon 615 processor. Both rock 4G LTE connectivity alongside Lollipop. The interesting feature here is the orientation of the screen, the phone will right itself no matter what way round you are looking at the screen.